I was raised by my wonderful dad, a lecturer of English language and literature. Books were a big deal in our home. We were taught the importance of reading very early in our childhood. It stuck with me in my growing years, much more than it did my siblings. I was an avid reader as a kid and in my teen years. I carried this on into my adulthood. To me, books were an escape into a wonderful imaginary world of intrigue. For a moment you are transported into the life of those beautiful characters as you get caught up in their stories and adventure. I just love it. After my first degree, which was a BA Honours degree in English, I knew I wanted to be a writer. We were taught poetry, drama and playwriting. We wrote plays and staged them. It was amazing and I loved it. My imaginative and creative mind 'expanded' and I knew I would never be fulfilled if I do not write books. However, I didn't know how or when I woud do it. For a long time, I put it all behind me and focused on my career, higher education, marriage and parenthood. The only writing I did during this period was my thesis. I rediscovered my passion for writing when I joined Facebook a few years ago. I was doing a lot of writing on my Facebook page and I kept being told I have a gift for writing, so should write articles for a newspaper or write a book. It was amazing feedback to get from readers. I was focused on my career at the time and did not want to change my career path, so I decided to create a blog and write on topics that I was passionate about, but only in my spare time. That is how this blog was 'born'. I created my blog to provide helpful information, motivate and inspire others. I wrote over 35 articles on challenges we face as human beings and they attracted over 40,000 visits to my blog. (It is now 55,000). I never expected that. It was encouraging and incredibly empowering. Due to popular demand, I adapted my best articles into my first book; OVERCOMING LIFE'S CHALLENGES (released January 2017). The goal for what I do is to touch someone out there and hopefully give them the courage to do whatever it takes to deal with some of life's challenges and improve their mental health, physical and spiritual wellbeing. 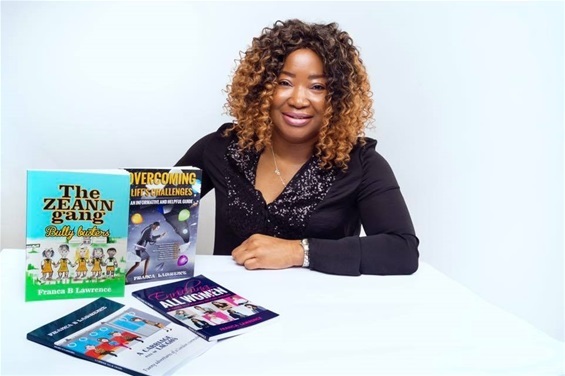 The topics I usually cover include love, relationships, family, health, grief, work (dealing with unemployement and creating income streams) religion, career and current affairs. You will find an answer and some perspective on whatever you're going through or just be simply inspired. 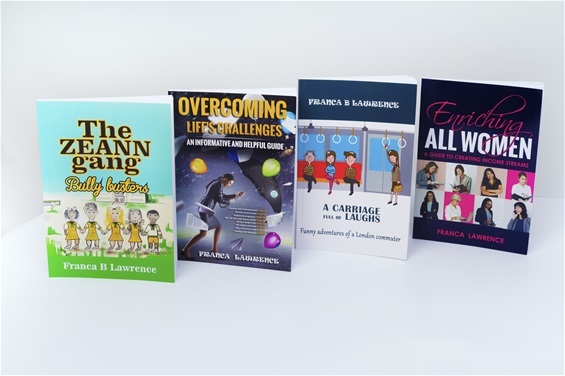 I wrote two more books this year (2018), my childrens book, The ZEANN gang, bully busters and my creative non-fiction book, A Carriage Full Of Laughs. The details of these books can be found on this website along with some book reviews. My books are available on Amazon, lulu and BarnesandNoble.com. You can find the links on the page for ordering my books. I have two novels in the pipeline for 2019. Watch this space. I live in Hertfordshire, England with my lovely family. I am an author, blogger and motivational speaker. Life has blessed me with a lot of varied roles; mother, wife, daughter, sister, cousin, aunt, niece, employee, employer, girlfriend, colleague and a friend. It's a privilege. My interests are world politics, music, movies. I love music and dancing too, so don't go thinking am a nerd. My rich career history includes banking, retail, business development and currently, project management. My qualifaications are B.A, MILR and M.A. Good work Fran....may God Almighty continue to direct you in your work and life always. Amen. Please when you can write an article on niger mother-in-laws.